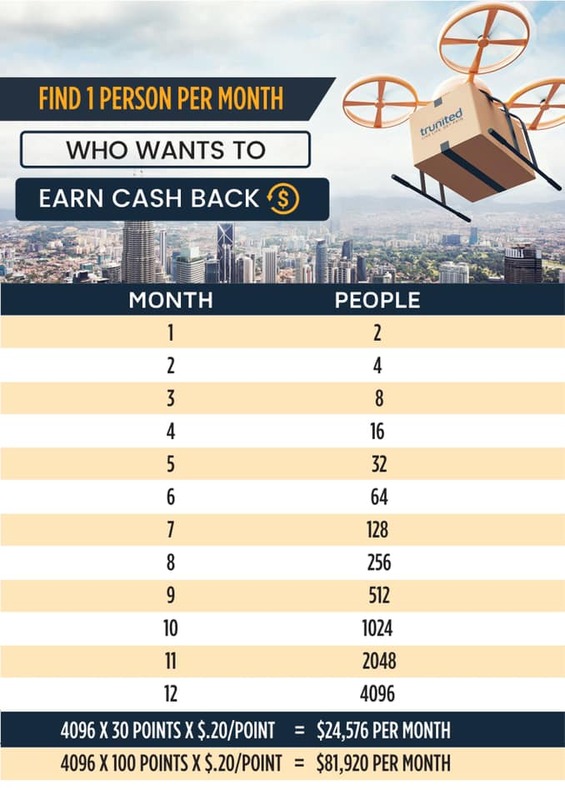 The graphic below shows you the power of finding just 1 person per month who wants to earn cash back in Trunited. Get out of the grind and find 1 person per month who wants to earn cash back on the things they buy every day. Then teach that person to find their 1 person every month. Have them pass this knowledge down the line. In 12-months your MONTHLY income can be more than the average person earns working a full-time job (they hate) in a year. This is what can happen to you when you embrace and use the power of 1 every month!